Everyone loves seeing a beautiful and colorful garden, but few realize the amount of effort needed to get it that way. Only true garden lovers know how much time, money, and energy they’ve invested in achieving that perfect look of their garden. Of course, none of that would be possible without the habits they’ve formed along the way. If you want your garden to blossom, you’ll have to pick those habits up, too. Thankfully, true garden lovers share their secrets as they want others to be as successful and fulfilled as they are. So take note of the following habits. No true garden lover leaves things up to chance. They have a habit of planning everything out, starting from the layout of the garden. You are a gardener before you even plant your first flower. First, you need to scan your surroundings and figure out what you’re working with. This way you’ll know exactly how much room to leave between plants so they can grow comfortably. Planning will also allow you to anticipate potential problems and to come up with unique garden designs. How you solve those problems and what design you choose depends entirely on the space you’re working with. In some cases, it can even influence the type of flowers you’re going to be planting. Not letting pests overrun your garden is one of the main responsibilities any gardener has. First off, it’s important to try to avoid the problem entirely. You can do this by developing the habit of checking your plants. The leaves and stems are especially vulnerable and will be the first places bugs will inhabit. Carefully comb through your garden to make sure to pests have taken up residence. If a bug infestation has already happened, do what wise garden lovers do and don’t use store-bought pesticides. This only ends up killing your plants, too. There are plenty of natural bug repellents you can make yourself and get rid of bugs in a jiffy. Another thing you can try is to add toad houses or birdbaths. Attracting bugs’ natural predators will not only relieve your garden but will also provide a sense of true nature. There’s nothing cuter than stumbling upon a little toad in your backyard or hearing the birds chirp as you water your plants. A true garden lover’s goal is to have a stunning but strong and self-sustaining garden. There isn’t much point in creating your own ecosystem if it can’t function by itself. That’s why gardeners are generally wary of fertilizer. Yes, it’s very beneficial to your plants and grass, but in moderation. Most people new to the craft just dump as much organic fertilizer as they can, expecting great results. The worst thing is that they think they’ve done a good job just because the plants look healthier and greener. The truth is, they’ll look that way briefly then start to crumble. They’ll be made weaker and thirstier, meaning you’ll have to give them insane amounts of water to keep them looking fresh. If a plant keeps needing more and more water, it’s a definite sign something is wrong. That’s why you should ease up on the fertilizer and enjoy the greenness of your garden for longer. Most novices hear about pruning and say they’ll get to it but they never do because they don’t see the importance in it. 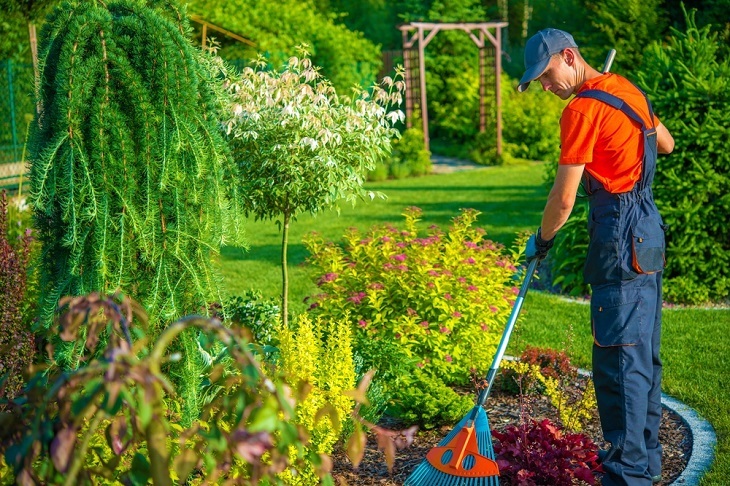 On the other hand, you’ll always find a true garden lover with a pair of the sharpest tree pruning shears, ready to give their shrubs and trees what they deserve. They know this will help their plants grow and develop into something truly beautiful. The time for pruning is always, but your trees and shrubs may benefit most from it in winter. This is because most plants are dormant this time of year, which means pruning promotes fast regrowth in spring. That way, you’re investing in your garden before the first snow has even fallen or melted. It’s also much easier to prune during winter because you can see the actual shape of the trees and maintain that structure more easily. The diseased and overgrown branches won’t stand a chance. Watering in the mornings is one of the most beneficial habits you can have as a gardener. It’s good for you because it makes you get up early and leaves you the whole day to be productive, but better for your plants as it prepares them for the rest of the day. If they get water in the morning, it means they’ll be damp enough to handle the hottest part of the day. This way you’ll avoid dried up plants and cracked leaves and stem. Likewise, the plants will have absorbed the excess of water by nighttime. That means they won’t be damp or sodden in the coldest part of the day, leaving them strong and healthy. As well as the time of the day, true garden lovers also watch out for the weather. You’ll never find them watering on windy days, for example, as it takes twice as much water to get the job done. Besides the morning routine, it is essential to have the right equipment for watering. Using premium hoses and other watering essentials you are saving water and making sure it is being distributed evenly and that each plant gets its fair share of water it needs. As you can see, being a garden lover entails a lot of interesting habits. You’ll deal with plenty of challenges on your way of getting the perfect garden, but you’ll also learn and gain a lot on the way. Your healthy habits will surely be the difference between success and failure, so don’t take them lightly. They are the basis of all good things and will help you build gardening skill as well as character.